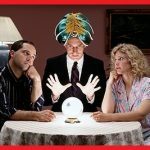 Take a look at the honest reviews and see why Keen.com psychics should NOT be your choice for Psychic Readings! Learn More, Vote and Rate Yourself. Keen.com was founded over 10 years ago by a real psychic. Recently the owner sold the company to AT&T, the phone company, and they have slid downhill since then, to the point now that they are worthless in my opinion. Their feedback system is nice but I feel it is easily manipulated. Expensive: Keen offers 3 minutes free for new customers. You have to sign up, provide a credit card and purchase additional minutes to get your 3 free minutes however. I found the 3 minutes went by fast and I spent them all just trying finding a competent psychic. Keen has the worst new customer deal out of all the psychic services online. The reality of morally, psychologically bereft people grossly overstepping thier ability to truly see what is best for others continues to be one of the dark and sick aspects of modern culture in the form of psychics on the net. One of the so called readers I spoke with on Keen.com, who told the same ultimately destructive and similar story many others did while “reading” the same topic, when confronted … (she is “rated” as super wonderrful ) erupted, spewing, with a great deal of energy, a stream of very very sick, dark, vile and destructive negativeity. This is someone who is always piously talking about god and Jesus, an obviously thin veneer of decency and spirituality which covers up a deep well of the most vile, poisonous, destructive psychic contents. I knew these people were a big joke by that time already, but even I was a bit shocked by that. C.G. Jung taught us well, the dark aspects of the psyche, if not brought to conscious awareness, saturate the life of the person. As in Adolph Hitler. You we know, Hitler was into the paranormal too. Like many online “psychics”, he wanted to use it. Just having some ability does not mean a thing about the quality of the moral or psychological competence to help others. That is a whole ball of wax which is clearly lost on 99% of these people who are are not equipped to recognize their own limitations, need, greed … etc. or even worse who deliberately damage others for spite. One prominant Keen.com pcychic, Empress Dawn, described that to me in a letter about her bretheren on Keen.com doing precisely that after I confronted her regarding her morally backrupt “readings.” Most of these folks are using half baked intuitioin without moral or psychological competence. They often damage people with grossly impoverished “readings” or, (giving her the benefit of the doubt, ) damage people without even knowing it. Easy money engages lizard brain which seamlessly overrides moral and psychological “super ego”. I have been on Keen for about 3 years now, and I’ve spent an unspeakable amount of money on “advisors” when I could’nt face the harsh reality. At one point it felt like a drug addiction and simply called Psychic after Psychic, without even thinking why I was calling. I needed a reassurance from these scammers to confirm that “everything was going to be okay”. I’ve called many advisors on Keen and below is a list of some I could remember off the top of my head. I have to say that 98% of them were either too vague or simply TERRIBLE. Probably 2 or 3 resonated with me and approximately 70% predictions have come to pass. Perisian Medium I am Power – VERY expensive! Gave me some RANDOM #s as prediction dates. Nothing came to pass and when I emailed her, she never bothered to respond. Mignon Divine Medium – She picked up the phone and told me that I’m Psychic. Then she sais she’ll call me back because she’s going to go and pray for me. SERIOUSLY? I hung up and saw that she was still online. Eli Casey – He told me to hold on while he tried to get answers from his Angels. He was talking out loud to his “Angels” and it seemed like he was mocking me. As usual, nothing came to pass. Nicole 4 Sees Reunites Lovers – LIAR LIAR LIAR! She told me that the love of my life was cheating behind my back, which was COMPLETELY FALSE. Ziku – THIS MAN IS VICIOUS. Misleads you in so many different ways that you start to believe him. But turns out that he changed his reading every single time. None of his predictions came to pass. Lise Dianne – She was interesting. I almost believed her and her story. She made up a very interesting story about how things were actually going to pan out for me, but everything she said was general and false. Dee Divine Medium – Wrong Wrong Wrong. The Psychic One – This lady is vicious! Changes her story every time I called her. Luckily I picked up on it on my second reading with her. She makes it seem like she knows what she’s talking about, with all these astrological stuff/emails, but everything is FALSE. Zacharia11 – Rude and sounds like he is sitting at a Bar while talking. Making stuff up and telling people off, and making it seem like its the “truth”. Advisor Lil Mel – Vague and Wrong! Psychic Clairvoyant Stellan – Never spoke to him on the phone but chatted with him 2 or 3 times. Sounded like the truth at first, but nothing came to pass. Mystic Gwen – She is a young chick who is sitting at home and scamming people. Her “uncanny” advice is being thrown at innocent/naive people as the “truth”. Reading was VERY RANDOM and NOTHING SHE SAID CAME TO PASS. thequeen34 – Rude, unprofessional, and WRONG! Jess Stone – She is a radio jockie. Has got the gift ofgab, and def NOT a psychic. Pretty much what I told her, she repeated. Then she wonders why people are bashing her on Keen. Michelle and Josh (Prev known as Madea Michelle) – she claims that her and her Angel Josh never guides people wrong. Although she is sweet, she has been completely wrong ON MANY DIFFERENT OCCASIONS. Alphafemale Solara – she breaks the entire concept of psychic readings open and tells it like it is. She admits that she can be wrong, and she has been for me, but she has shockingly right on some occasions. But she advises that when you get a reading, you write it down on a piece of paper, throw it in a drawer and revisit in a few months. You either believe her or you don’t. She’s not always available but when she is, theres a huge waitlist. Emily L West – EVERY SINGLE PREDICTION of her has come to pass. She is no longer on Keen, which is sad, but at the time that she was…. she told the truth and was ALWAYS RIGHT. Maxwell Angel – Max is very sweet and has the gift of being able to read energies. He picks up situations, intentions and longterm outcomes pretty well. He will not only give you psychic advice, he will also give you honest guidance. So that you can protect yourself from negativity and bring honest changes to your life. Spirit2spirit – Quick, witty, kind, and simply honest. I’ve just found her and majority of her predictions have come to pass so far. LeSoleil – It’s kind of scary how accurate she is sometimes. Doesn’t sugarcoat any of the information she relays. Master Psychic Dave – Good at reading people’s intentions and energies. Doesn’t feed you bluff! Very honest. Celtic Moon – She’s new to Keen but has a fantastic track record and feedbacks. I’ve gone to her on few occasions and so far … her predictions have come to pass. DivineReadings – She’s also new to Keen. Provides a different kind of reading experience but amazingly quick! Expensive… but provides a large amount of details in 4 mins. Again, her predictions have come to pass. WOW! That took a lot out of me, but this is as real as it gets people. DO NOT USE KEEN PSYCHIC SOURCE!! THEY WILL STEEL YOUR MONEY AND WON’T GIVE YOU ANY READINGS! VERY RUDE PSYCHICS THAT CLAIM TO BY PSYCHICS ARE NOT FOR REAL!!! SO DO NOT GO TO THESE ###!!! They allow their advisers to set up multiple accounts under different names.You never know who you will be talking too. I thought someone was really picking up good not realizing that I had talked to that person before.This is not fair and very manipulative.You can’t trust an advisers feedback as many times it is self engineered. Some of the advisers I liked were kicked off but I did find them on other sites such as psychicoz and psychics. They advertised that they were going to clean house and delete some of the bad advisers yet the ones who are still on are the worse.Keen is very confusing and I would rather go with sites that do not allow this sort of trickery. I don’t like talking to to the same person under a differnt name and a different picture. I don’t blame the psychic but the site who allows this to begin with. Other less sophisticated sites have no problem keeping an adviser from opening so many accounts and deceiving so many people.